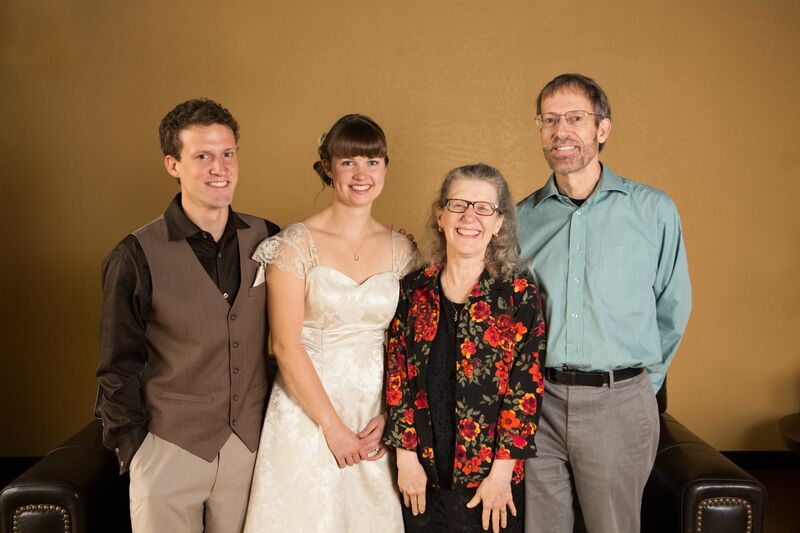 Our son Thad married Corrie Sizemore November 17 here in Eugene. The wedding was simple and lovely. The reception had good food, time to talk, public comments by friends and family, a hilarious Newlywed Game, and some fun line dancing. 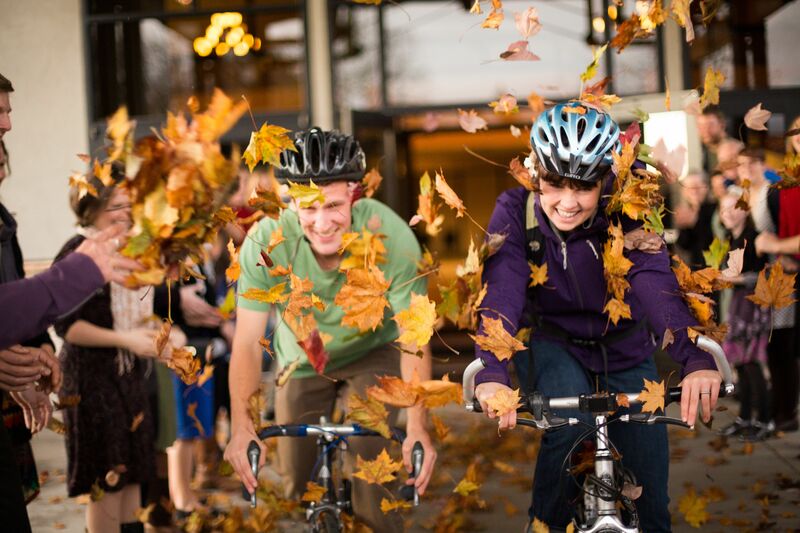 Corrie and Thad rode out the church doors on their bikes as we threw fall leaves at them! A frequent question from those who hear of our plans is, “What do your kids think?” The simple answer is they are supportive, encouraging, and excited for us. The more complete answer is they have some sadness at our going. Not only will we miss “routine” things like holiday dinners, chats over lunch, and evenings watching a video together, we won’t be there as a safety net if they have an illness or lose a job. We are confident that our larger “family” (including friends) will step in if needed, but it will be different–it won’t be us. 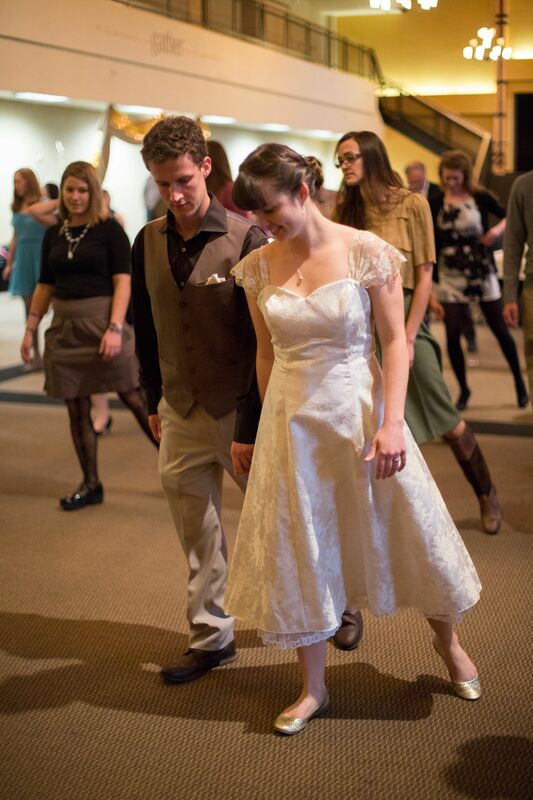 Just for the record, we’ll figure out a way to get to any future weddings. But we’re very thankful that this one happened before we left. We hoped to be gone by now, but once again, God’s timing is good. This entry was posted in Family and tagged family, kids, wedding. Bookmark the permalink. God’s blessing on your next life. Will look forward to hearing about it. Thanks, Jacque! We feel richly blessed just in this process of getting ready to go.